There’s really not much going on at this roadside “cafe…” which as been closed since dog knows when. But it’s a very Instagrammable place…for those who are interested in that kind of thing! There’s also an adjacent old motel that has been decorated all Mad-Men style…but is not open for business. I think you can do photo shoots out there, though….so photographers, hit me up if you wanna go!! 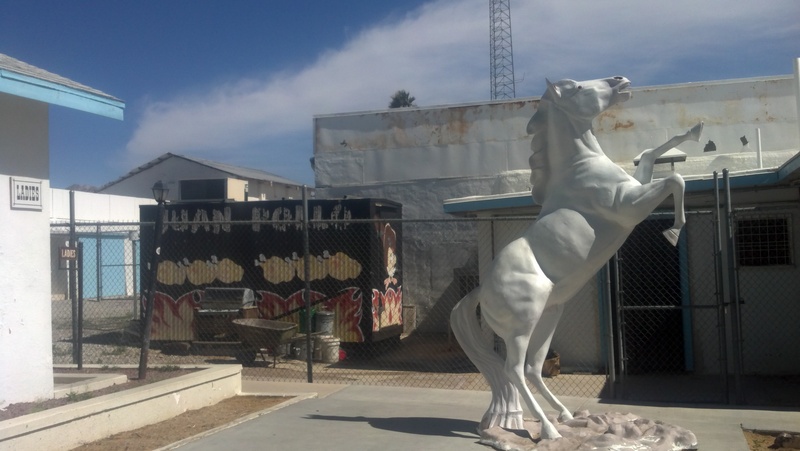 The location of this jewel is on old Route 66, just south of Interstate 40 near the Amboy Rd. junction. There’s not much else around for miles. YAY! 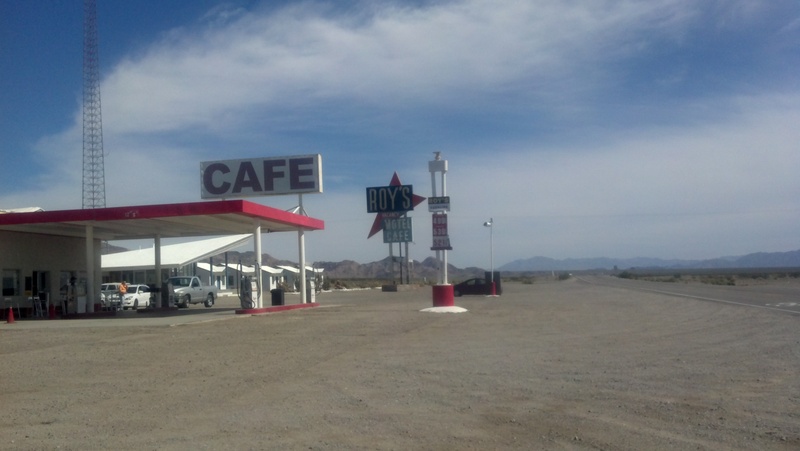 Although if you do head west about another hour, you’ll hit the Bagdad Cafe. Watch to original movie “The Hitcher” with Rutger Hauer. Roy’s is featured in movie. Amputated finger in the fries scene. Must see. OMG I’ve seen that movie, but didn’t realize it was shot there…..I *LOVE* Rutger Hauer; I even named my gun after him (Rutger Hauer, der Sig Sauer). I’ll have to check it out again!! one episode, Gary got to hangin’ out with some Barettas who still had connections to “the mob”…wasn’t pretty(8-). Then he got to hittin’ the gun oil pretty heavy…he got hooked on the synthetics. hahahaaaaaaa! He sounds like a real nut!